Not enough hours in the day? Type smarter with HERO's patented design that reduces finger travel 35% (or "3 feet per Tweet"). How? In English, we use just 9 keys 80% of the time, so HERO's smarter design puts those keys in the middle where your thumb likes to be. - Phone too big? 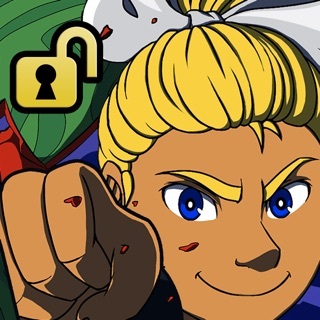 Tilt your device or tap the arrow to move HERO's keys for easy 1-thumb typing. - Fingers too fat? Me too. On HERO, the most-used keys are 30% bigger than QWERTY. - @, #, -, ?, !, comma and period are always on the main screen. - Tap HERO's perfectly placed Bolt button to enter a SPACE (or double-tap for Period+SPACE). - HOLD or 3D-Touch the Bolt for super-quick access to numbers, cursor control, and your recent emojis and symbols. - Hold or 3D-Touch keys for accented characters, an em-dash or underscore, a .com, and more. - Access to an ever-expanding list of classy themes. Let's leave QWERTY for 10-finger typing, like it was designed for in 1873. Today, we need the efficiency of HERO to save every second we can. Join the movement, and you can help guide HERO's development (swipe is in the plan!) at the HERO Users Group. - It works on iPhone X! Hi Draep. Thanks for the feedback! I must admit I did focus on iPhone more than iPad (Apple requires it work on both), but I like your idea of having it "stick" to your chosen side, especially on iPad. Makes sense - thanks! I am the creator of Modality Keyboard, and I couldn't possibly be more excited about what this group has accomplished with Hero. Concentric circles with your primary letters large and centered, outliers way outside, punctuation right on screen, and of course space bar right in the center... so many well-thought ideas here! If you are going to type letter by letter (Modality works in groups), this is the way to do it, no question. I have a few small critiques which I won't detail here because I am sure the creators are aware of them, and you will discover them too, but I can tell you unflinchingly that you won't find anything better for this style of typing. The short story is, get Hero NOW and support these guys in any way you can so that they can keep doing great things that improve the way we interact with our technology. And I'm very serious - get it NOW! This app is new so it has shortcomings, understandably. The swipe function needs too much precision since it counts every letter you go over. There is no predictive text or spellcheck that allows me to click the word and correct it easily if it was misspelled - yet. And it's proving to take some time learning the keyboard. Also, the apostrophe button takes too long to pop up. I'm looking for an app I can use to quickly text but only requires one hand and limited need to actually look at the screen. Back with T9, I could text without ever looking at the phone and reasonably quickly, not yet the case with this app.